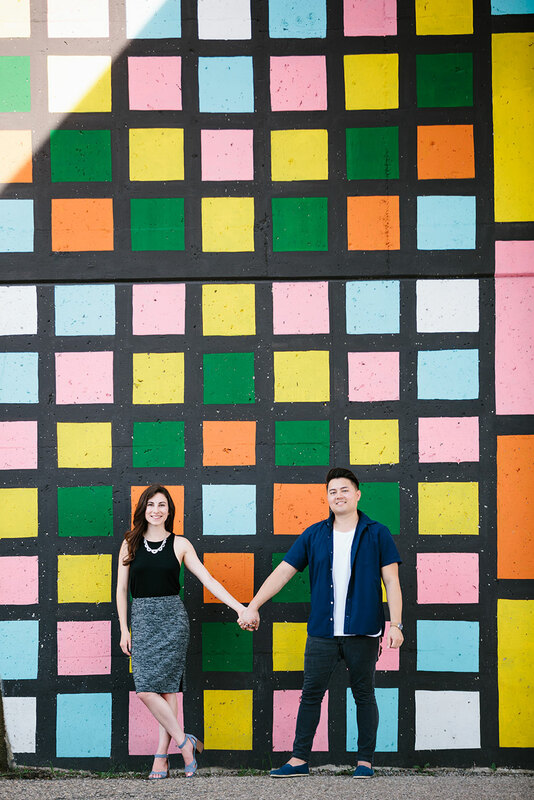 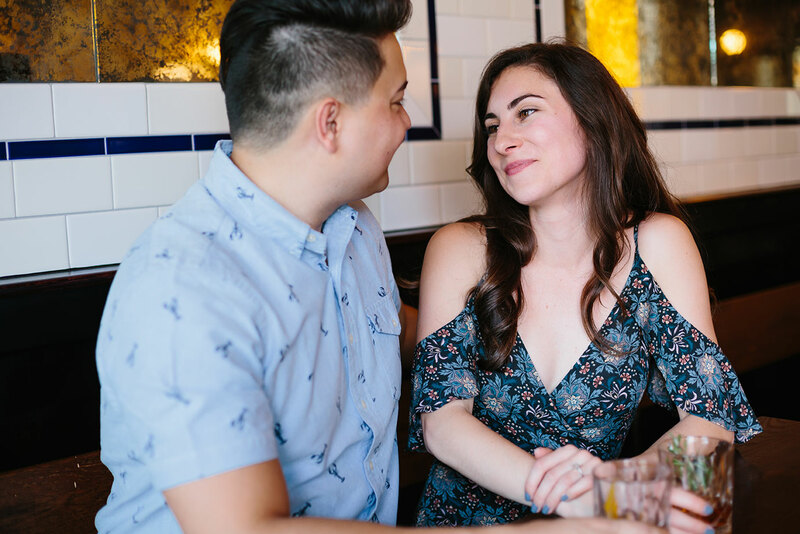 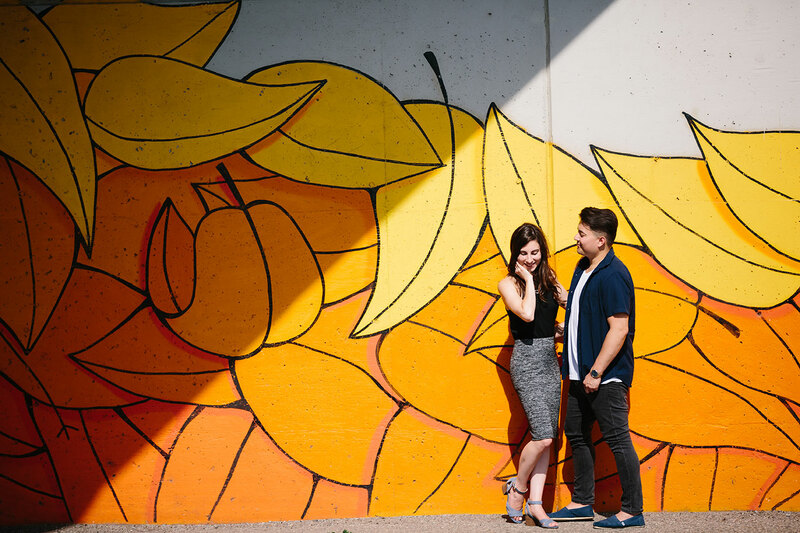 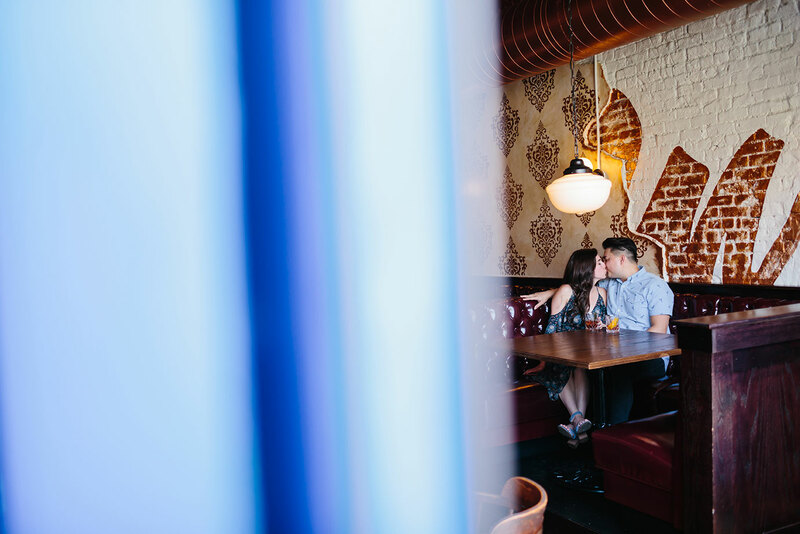 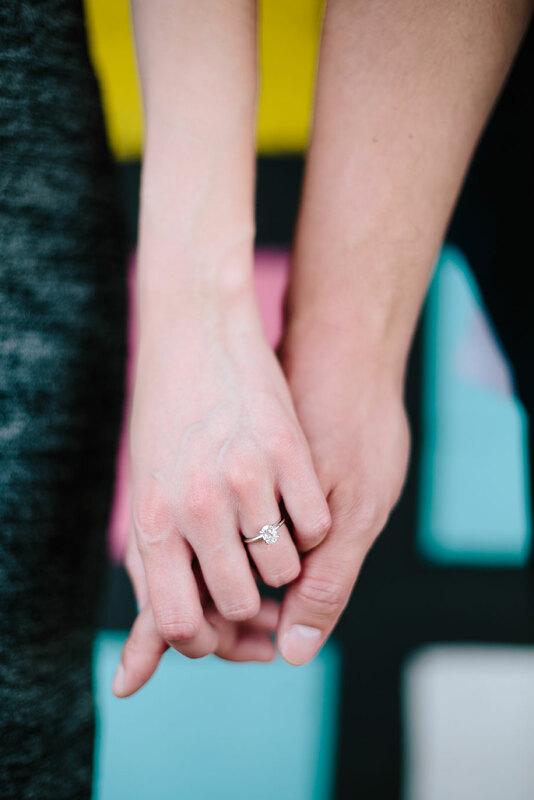 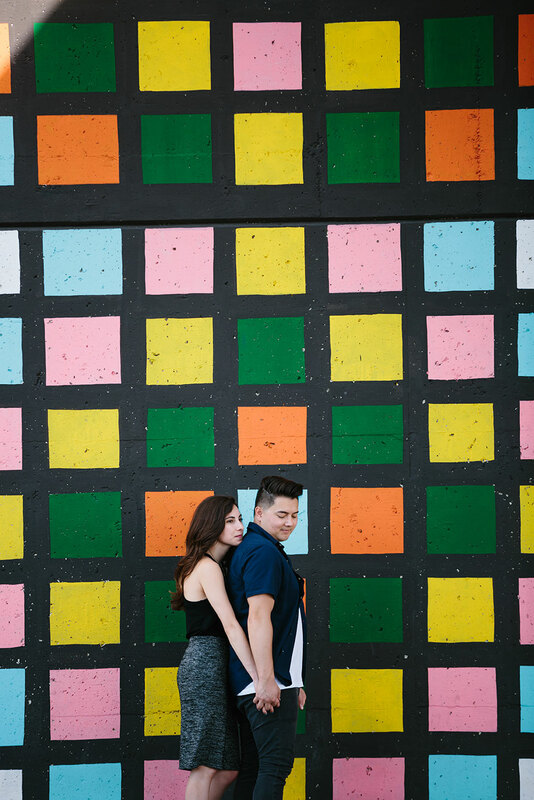 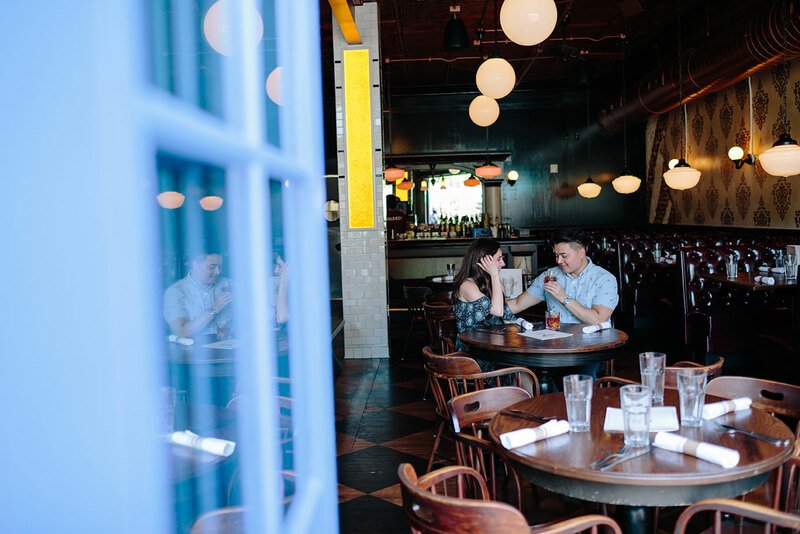 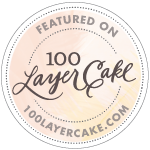 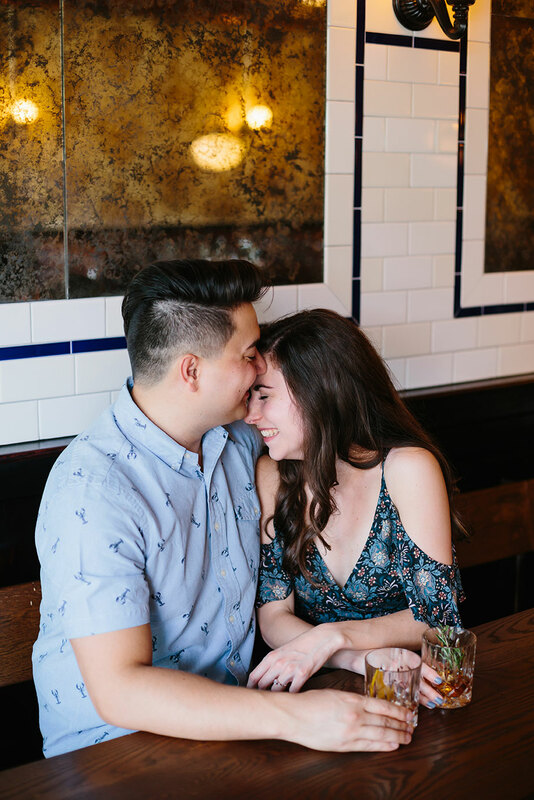 This fun, colorful, lifestyle engagement session completely describes Rachel and Jay and I think that is why I love it so much. 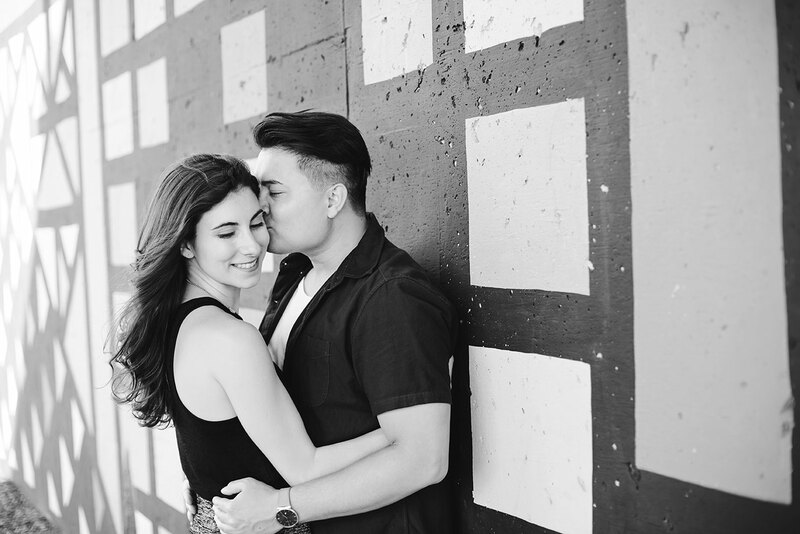 Rachel came to me with all of these ideas and I loved every single one of them because they were all things that described Rachel and Jay as a couple. 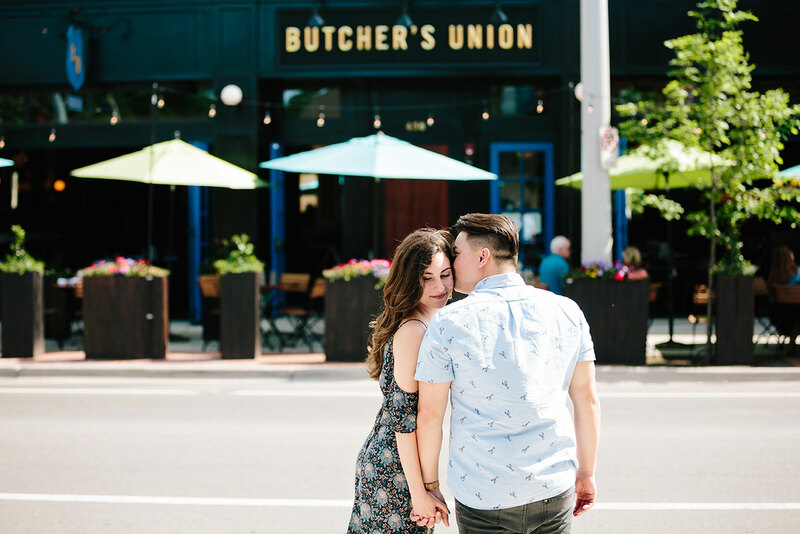 Our first stop was the Butcher’s Union on the West Side (I have only heard amazing things about this place) and my drink was nothing short of that. 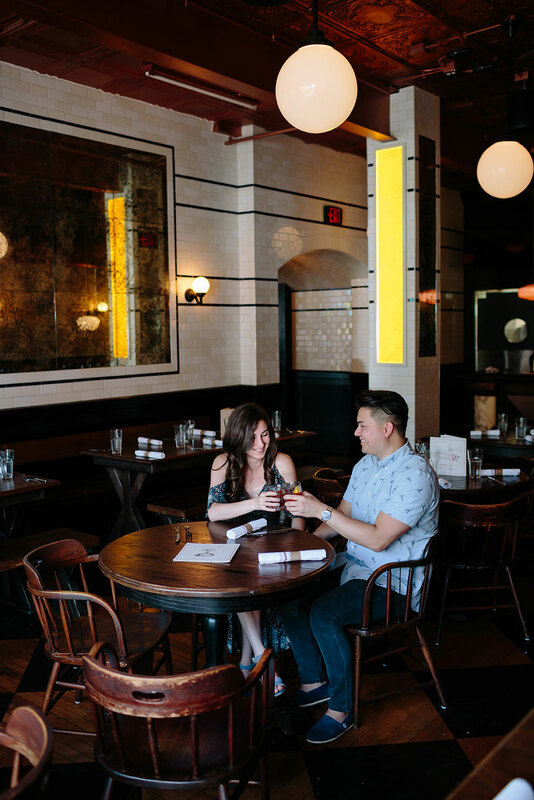 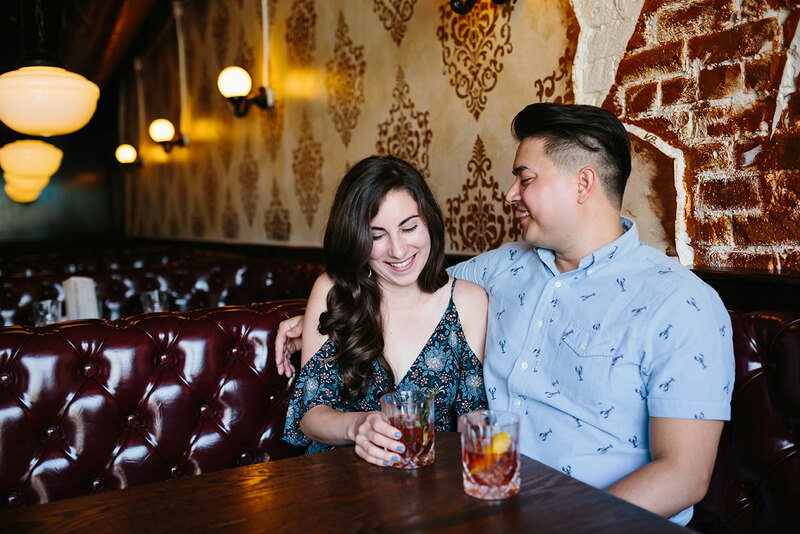 Rachel and Jay love whiskey so it was only fitting to stop at the Butcher’s Union to start. 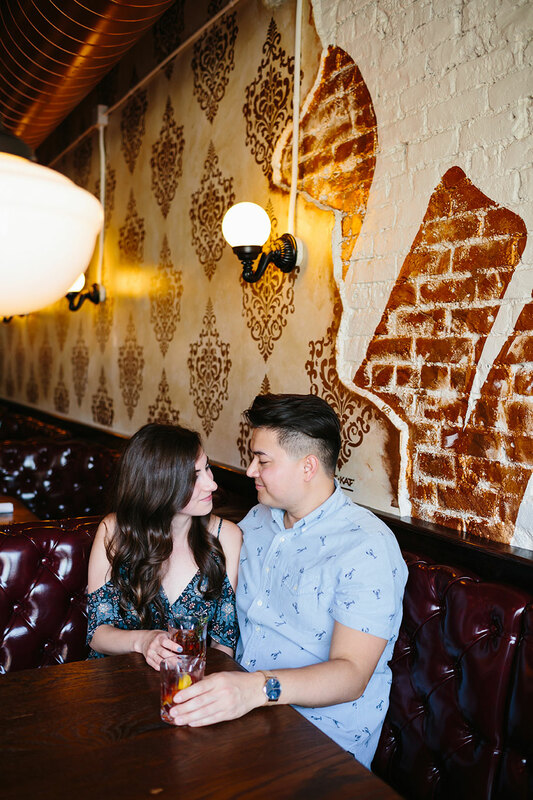 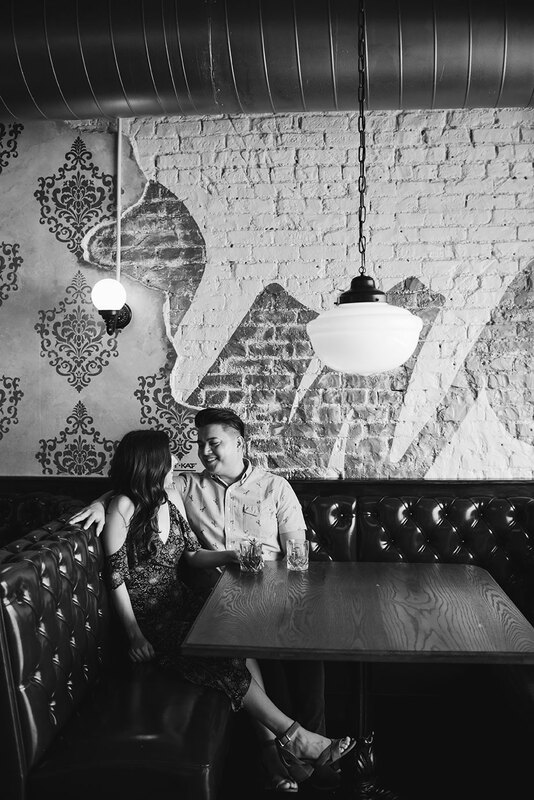 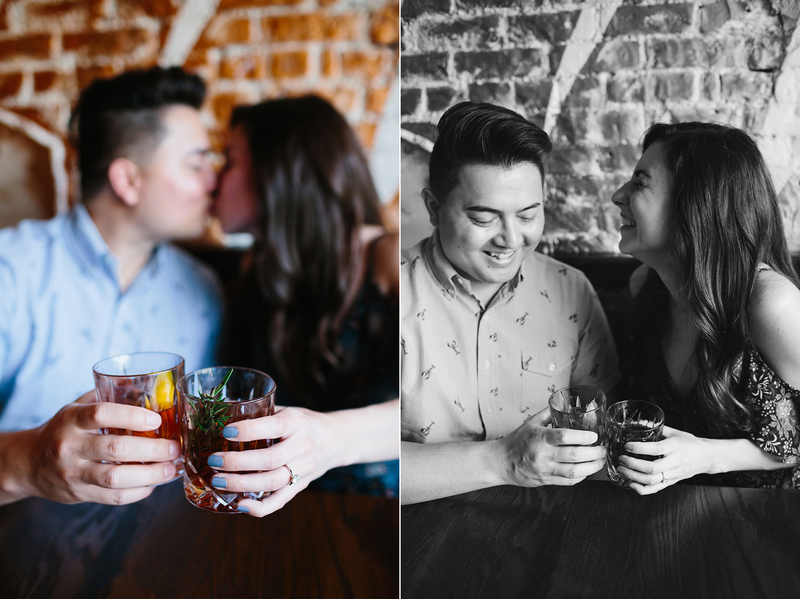 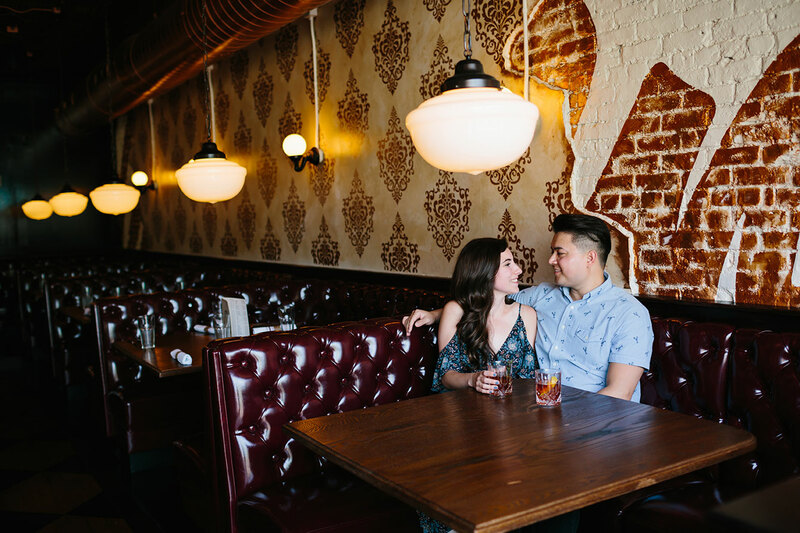 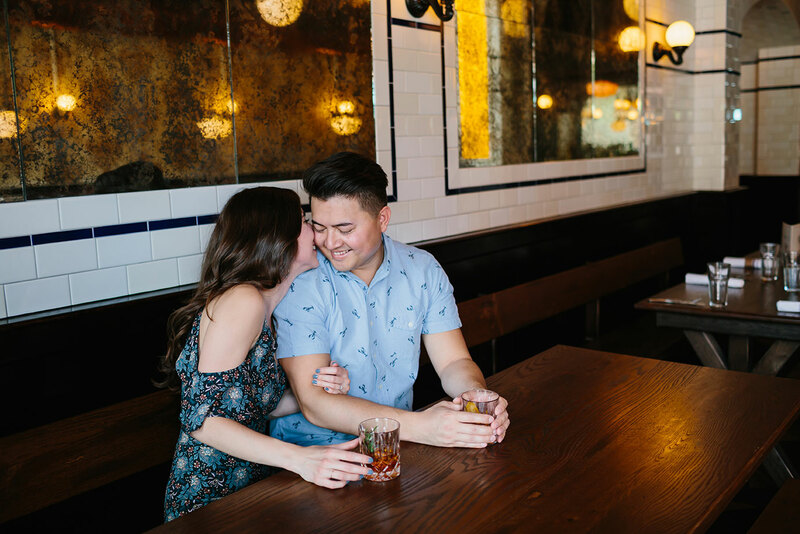 You can’t beat starting out your engagement session with whiskey. 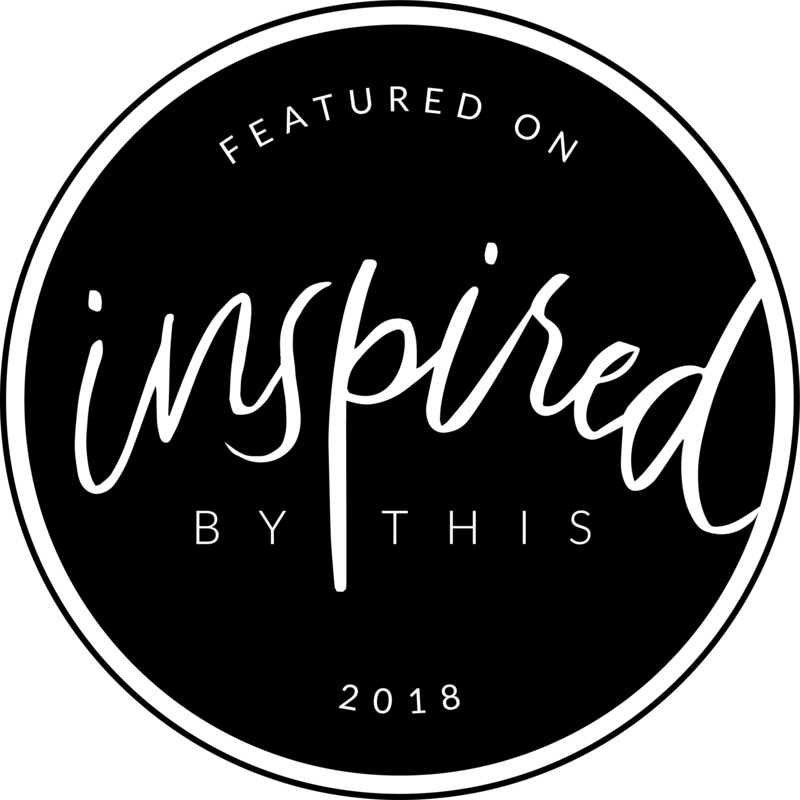 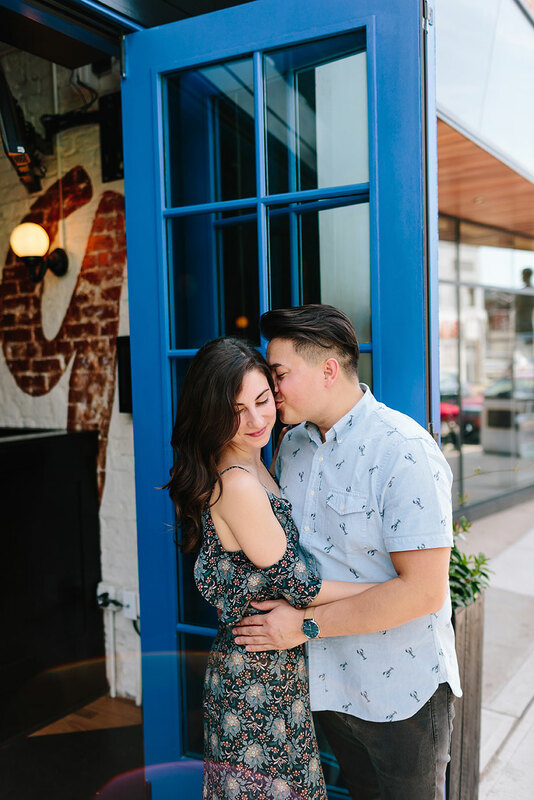 If you are looking for some fashion inspiration for your engagement session, I loved Rachel’s dress from Spring Sweet that she started the session out with. 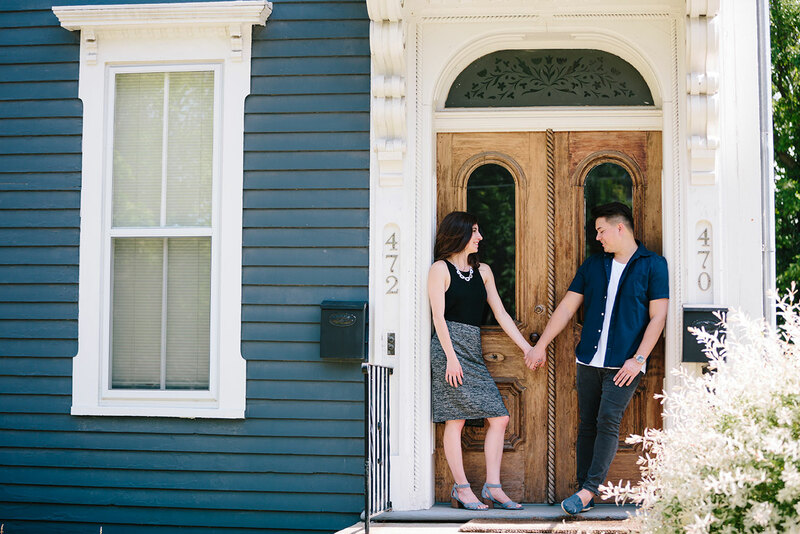 After the Butcher’s Union we stopped at Rachel and Jay’s home to change and their front door was AMAZING so we took advantage of that for a few photos. 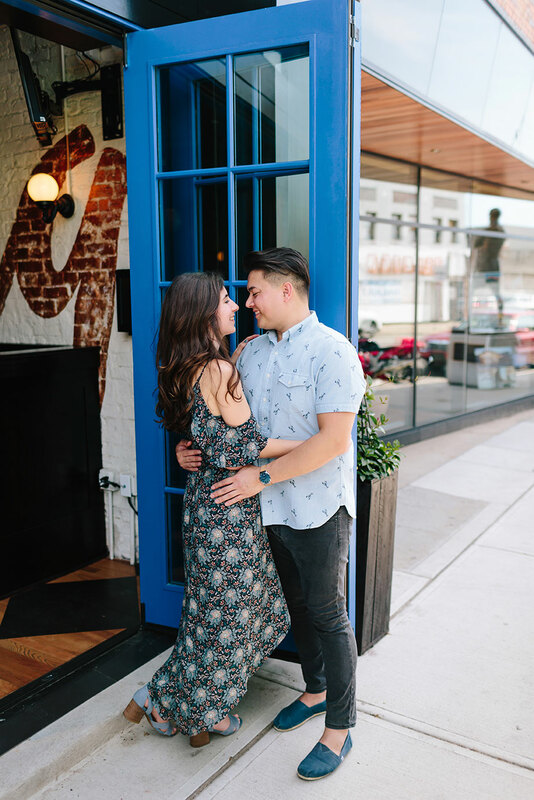 So glad we made that stop! 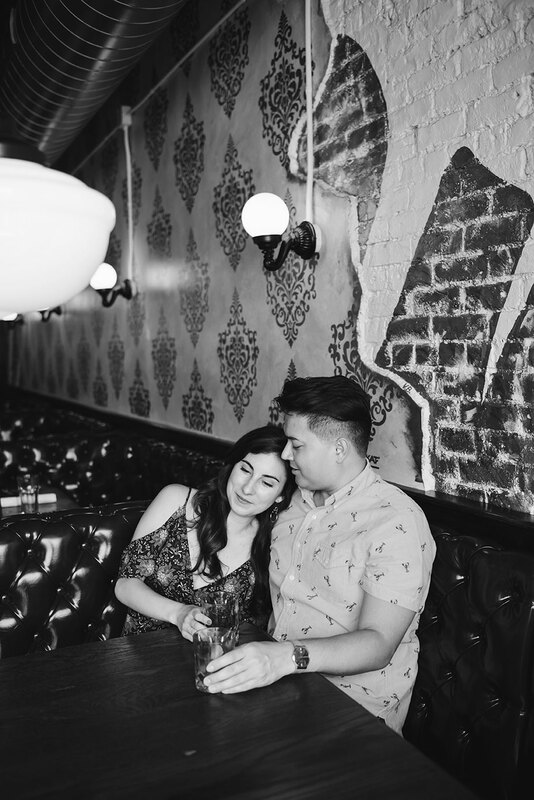 It’s been home for them for awhile, so I think it will be a great memory to look back on. 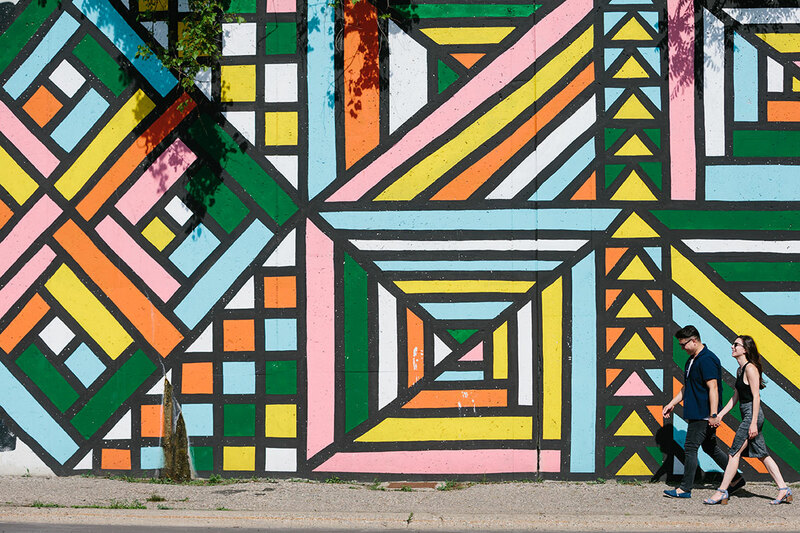 The next stop was by some of Grand Rapids’ street murals. 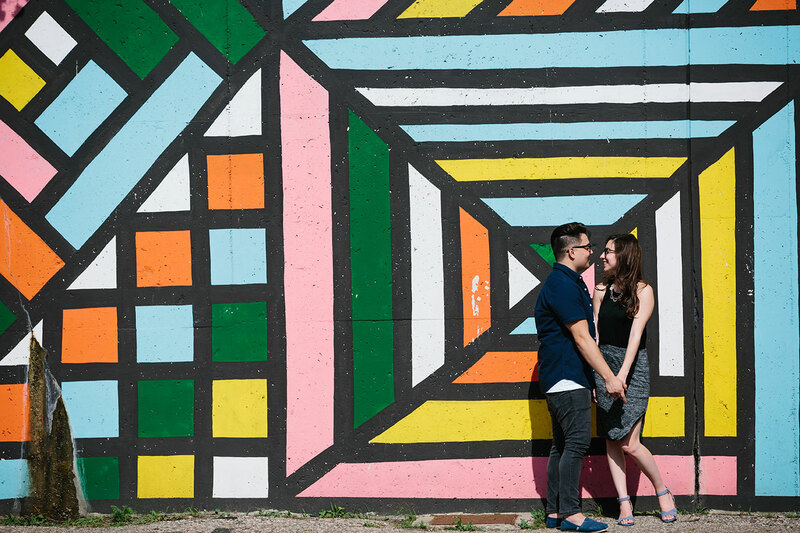 They threw on their Ray Bans and looked adorable underneath the funky and colorful artwork. 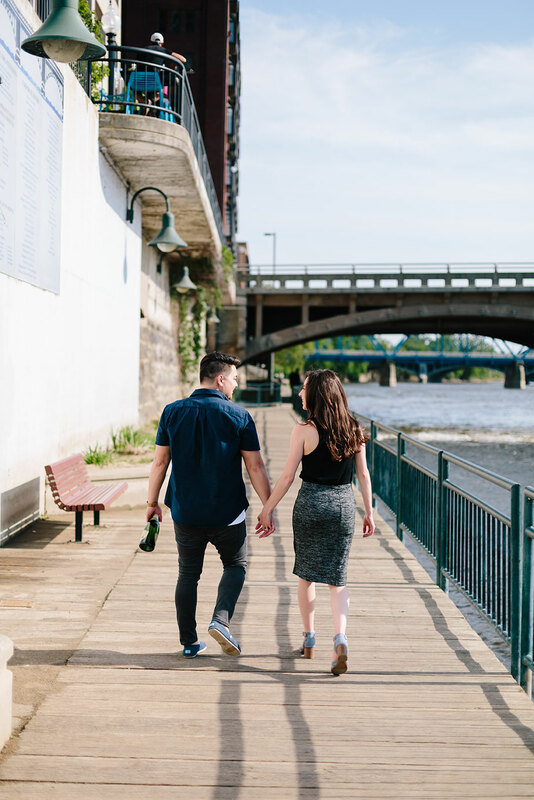 We ended downtown Grand Rapids by the river to get a view of Grand Rapids. 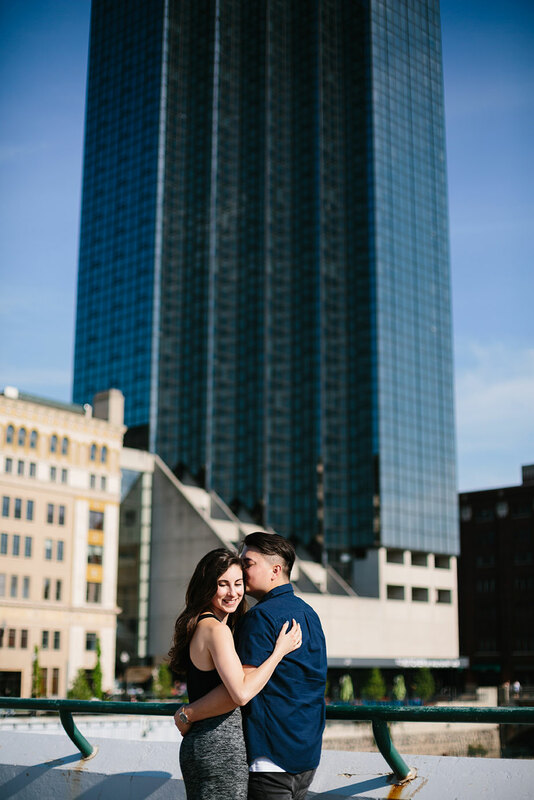 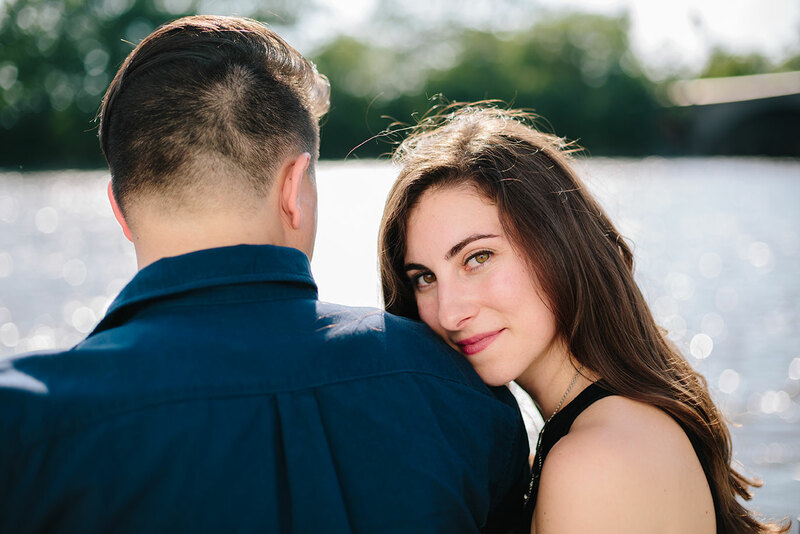 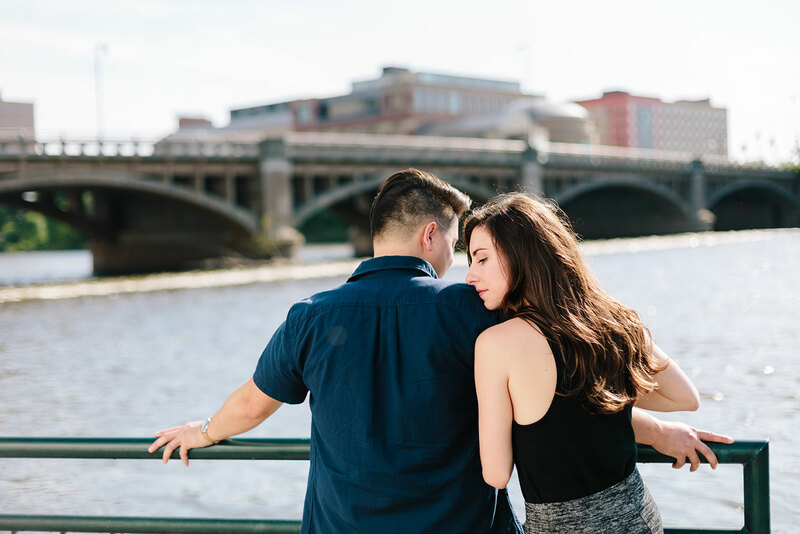 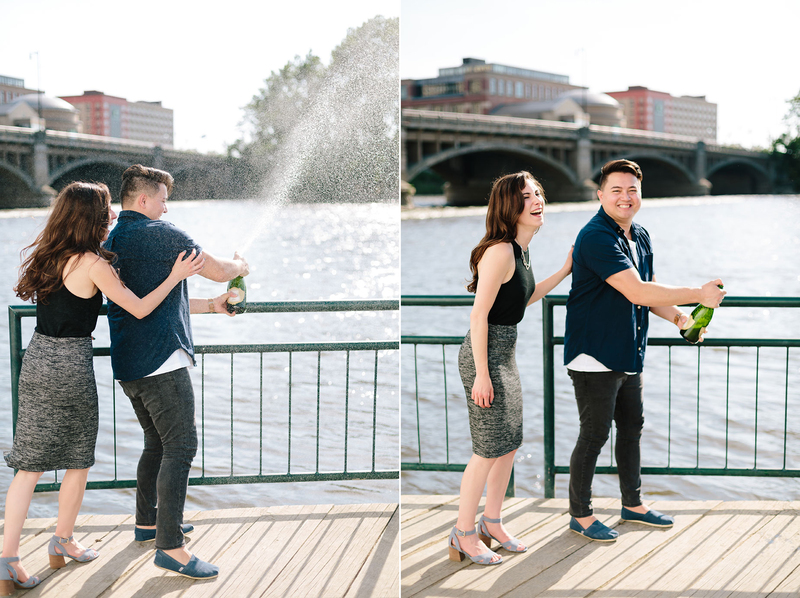 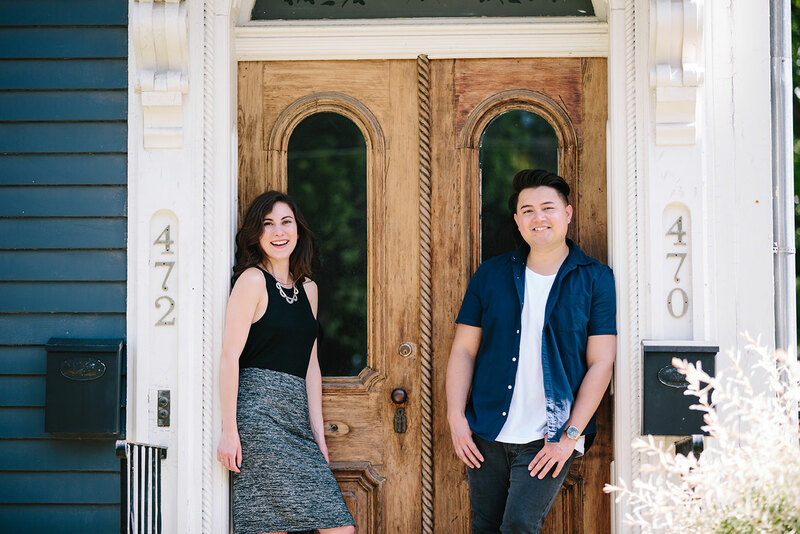 Rachel and Jay are high school sweethearts and didn’t grow up in the Grand Rapids area, but ended up falling in love with the city and moving here so we had to get a great view of Grand Rapids. 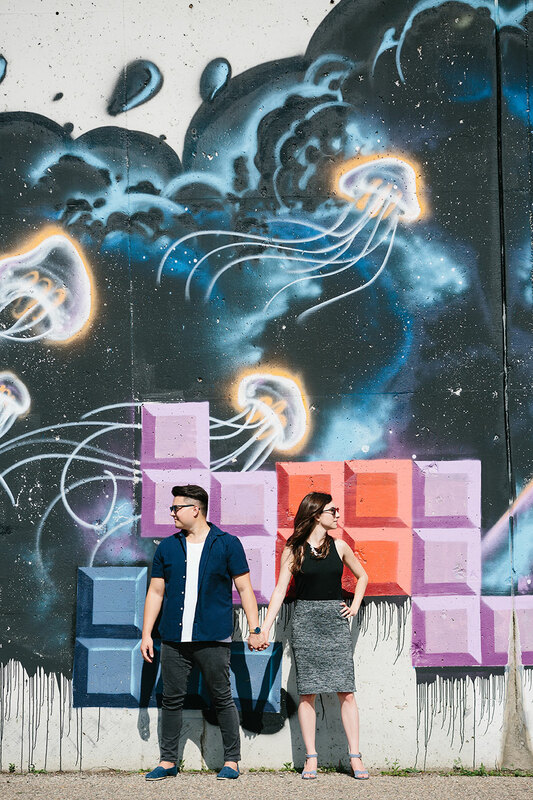 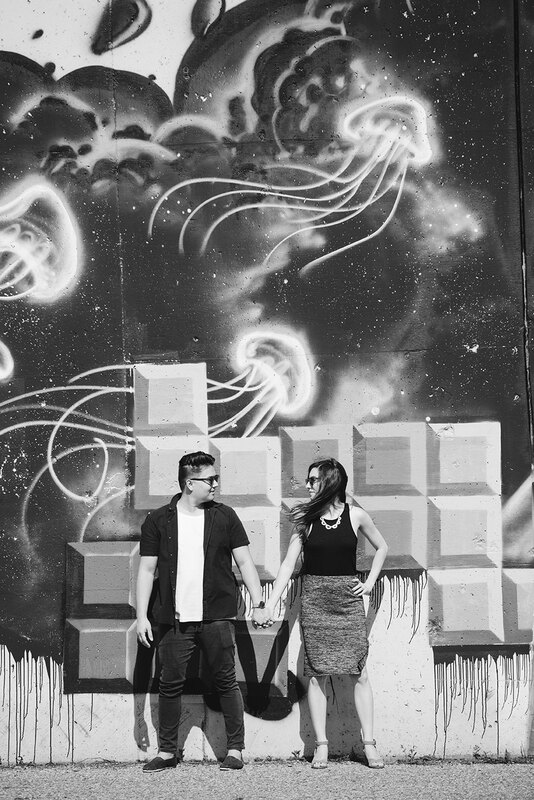 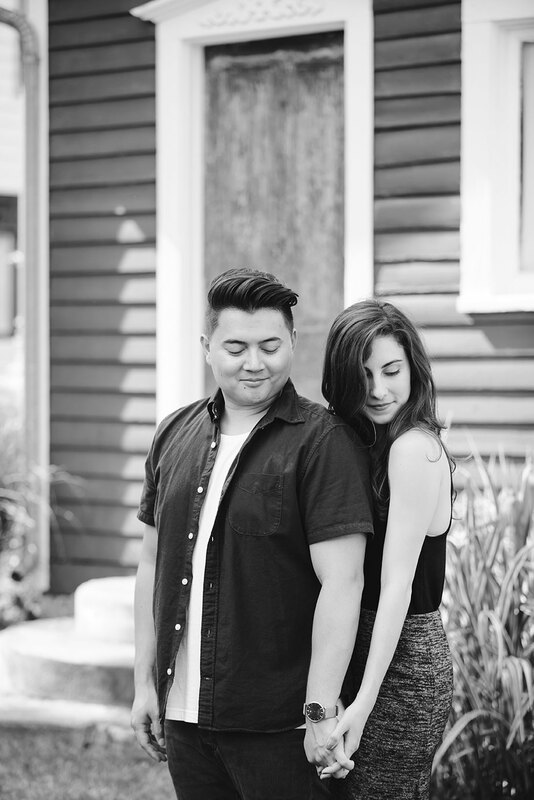 Counting down the days until Rachel and Jay’s wedding at The Cheney Place!